If you were as thrilled by the first episode of Westworld, aptly called “The Original,” as we were, then you’re probably as thirsty for any and ALL info relating to the show as Rebus is for an ice cold bottle of milk. OKAY. So, we’ve already started developing some theories about the ~going-ons~ of Westworld, which includes us digging deep into the show’s site (discoverwestworld.com) – because, frankly, it’s a wealth of information. The latest hidden message/easter egg – first picked up by Redditor goldxblood – comes courtesy of the site’s chatbot Aeden. And it’s a pretty great crossover with HBO’s OG hit Game of Thrones. Because, WHY NOT, right?! …here’s the response you’ll get. "Winter never comes to Westworld, thankfully, and I have never met Jon Snow. I can tell you that like in certain parts of Westeros, in Westworld what is dead may never die." HA! I see you chatbot. Clearly HBO is having fun with a little Thrones-related crossover, but this also alludes to the fact that on Westworld, the Hosts could be considered “dead” (’cause, you know, they’re inanimate robots and all – but damn do they emote well) and therefore will never die…unlike the Newcomers who can very much die – once the robots start breaking bad, of course. 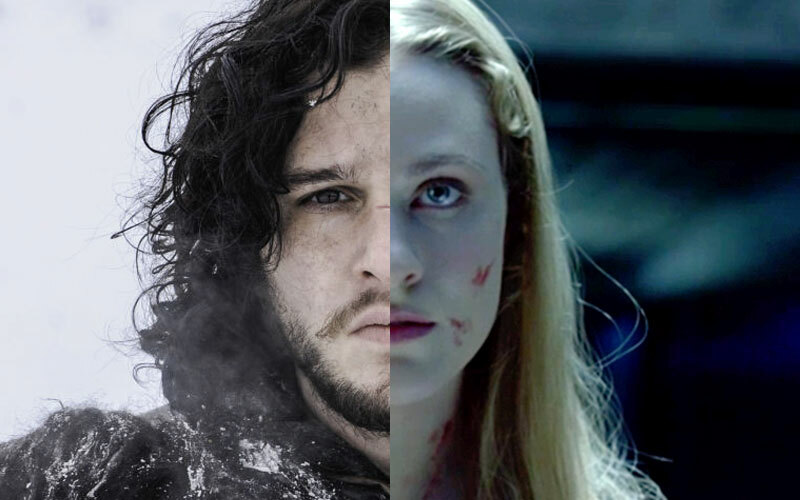 At this point, we’re not sure what’s more treacherous – Westworld or Westeros – however, we will say that we’d be just as happy hiding in Teddy Flood’s arms and/or Jon Snow’s.